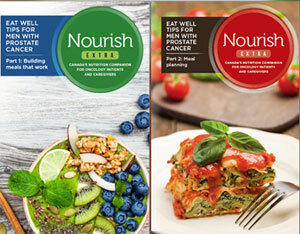 Nourish Extra is a publication of the Nourish: Canada’s Nutrition Companion for Oncology Patients and Caregivers series: Information relating to nutrition and cancer and advice from registered dietitians who are working in oncology centres across Canada. 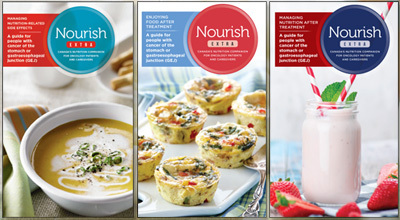 Registered Dietitians and healthcare providers in Canada specializing in cancer care can request free copies by filling out the order form. Sorry, but we are not able to send copies to patients and caregivers. Quantities are limited and delivery is free. Orders will be processed in the order they are received. 1. Fill out the order form and we will send you copies.